It’s not April just yet (barely), but you’d be a fool to think that this month has heard it’s last good drop of gossip. We’re talking a brand new distillery, a seafood dinner with two renowned chefs handling the heat, and Fish Lane Festival news set to strike the (healthy) fear of god into your bank account. Fortune favours the booze. 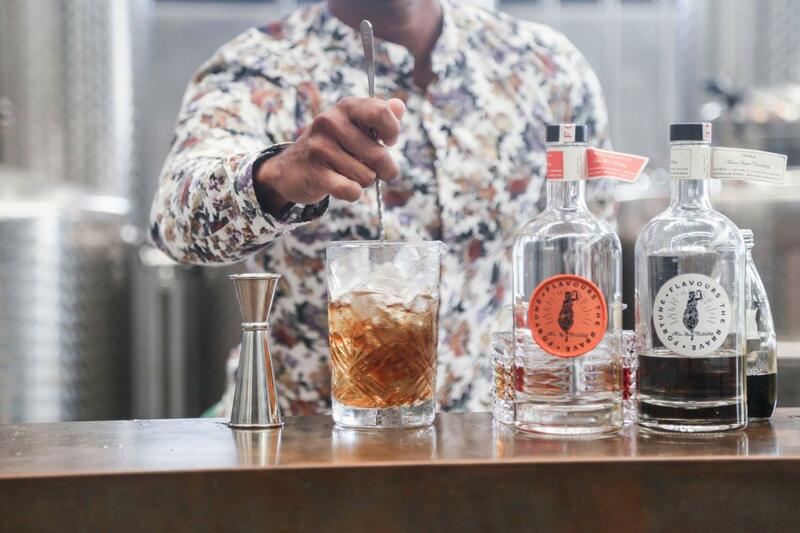 Noosa Heads has gained a brand new distillery, Fortune, with a signature dry gin, white malt whiskey, and vodka released to cement its opening in aesthetic stone. Heading in for a peek will spark an uncontrollable urge to try a cocktail (hello, malt martini), so we’d recommend bringing your designated driver along (thanks mum). Pineapple Express is pulling up to Maroochydore station! The superfood café chain is opening its very first Sunny Coast store with a venue’s worth of healthy nachos and signature share boards up for grabs, with newbies such as pineapple bowls (a poke and buddha bowl hybrid) and a cracking kids menu thrown into the mix. It’s due to open before Easter, making for the perfect long weekend treat if you plan on escaping the city! Woolloongabba just keeps on giving. The Grand is set to open this Saturday, a 60-seater indoor/outdoor hangout (they’ve totally turned two car parks into a fairy-lit courtyard) where you can chill with chai-spiked espresso martini cocktails, beer on tap and bar snacks before a food truck plan gets in the works. Rad. Mad. James Street is about to get even sweeter, with Gelato Messina joining the family on March 21! Rotating flavours, brand new gelato cakes and thicc shakes will make for the perfect treat after a cheeky bit of boujie shopping (window shopping in our current state). The mother of all seafood feasts is swimming up to One Fish Two Fish on Wednesday, April 10! One Fish Two Fish’s head chef Daniel Miletic is teaming up with Ben Williamson (who recently departed Gerard’s Bistro and is soon-to-open his own venue in Fortitude Valley, 22 Agnes) for the very first installation of Red Fish Blue Fish dinners – an ode to well-known local chefs and one-off seafood surprises. In this round, Ben and Dan will serve up a shared banquet menu starring a NOLA-style crawfish boil! With arrival appetisers at 7pm, followed by shared mains of local yabbies, morcilla sausage, potato and corn with accompanying shrimp grits, collard greens and Carolina corn bread with smoked butter and bevvies to match, you’re not going to want to miss out on this fishy fare. Swim this way for tickets before they’re snapped up by a bear. In other fishy news, Fish Lane Festival’s full foodie lineup is officially dropping this, Thursday March 21 at 8am! Until then, we can confirm that Grassfed, The Fox Hotel, Julius and Gelato Messina (with pavlova and Golden Gaytime specials) will be a handful of big South Brisbane names joining in on the biggest annual South Brisbane festival. Stay tuned to Fish Lane Festival’s Facebook page for the full release!